When planning the perfect picnic, creating a menu is the break-or-break moment. It’s a no-go to take something that requires reheating or could be super messy. If you don’t plan ahead, you might end up with soggy sandwiches, wilted salads, and melted desserts. 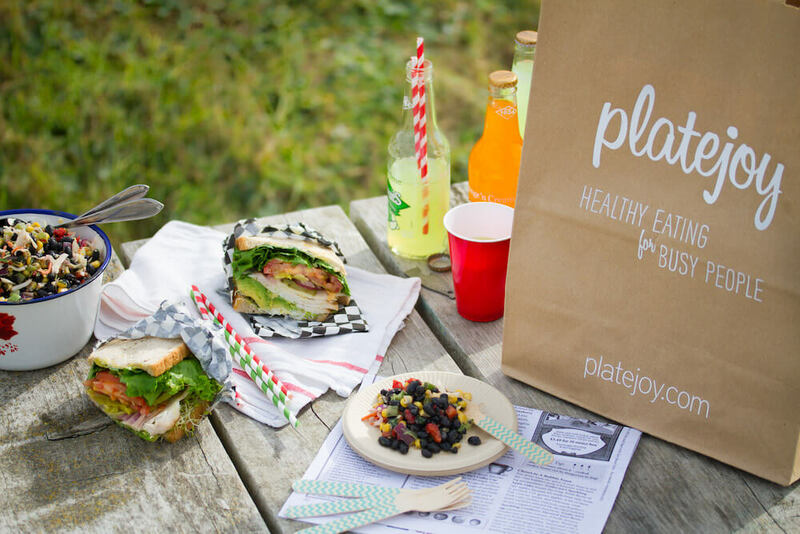 Looking for the perfect summer picnic menu? We’ve got you covered with these finger foods, sturdy side salads, and refreshing drinks. Here are our recommendations. Appetizers at a summer picnic are all about simple snacking. Create your own cheese board with a couple of different cheese varieties (a sample palate could include aged cheddar, goat cheese, a creamy brie, and a savory blue). Serve with crackers, grapes, and fresh figs if you want to feel even fancier. Food on a stick always makes for a great summer picnic food. To prepare these skewers, alternate grape tomatoes, mozzarella balls, and basil leaves. Drizzle on some balsamic just before eating and you’ve got a handheld version of a classic salad. Swap out the typical potato salad for a flavorful quinoa salad. Combine cooked quinoa with sun-dried tomatoes, chopped kale, and toasted almonds. Toss the whole thing in a dressing made with garlic, mustard, olive oil, and lemon juice. Feel free to add in any other ingredients that sound good to you--feta, olives, red onion, etc. Watermelon is a summer picnic essential. For a unique twist, combine chunks of watermelon with olives and feta. Toss in a dash of olive oil, pepper, and fresh chopped mint for a refreshing take on the traditional fruit salad. While some sandwiches get soggy between your house and the picnic spot, these deli favorites hold up well for up to five days when kept cool. The day before your picnic, spread pesto on one half of a sliced ciabatta loaf, then layer on Italian cold cuts, provolone, and greens like arugula and spinach. Wrap the whole prepared loaf in plastic wrap and place a heavy object on top (a skillet or six-pack works great). Leave for six hours or overnight before slicing. This vegetarian-friendly main course is full of protein and can also be made up to 3 days in advance. Whip together eggs, milk, and your favorite sauteed vegetables like onions, spinach, and red pepper. Pour into an ovenproof skillet, top with feta, and broil. Cut into slices and take to enjoy as a finger food. Make your picnic Pinterest-ready with these individual desserts in little jars to serve at the end of your summer picnic. To create healthy, no-bake cheesecakes, mix two parts cream cheese with one part Greek yogurt. Pat some granola in the bottom of each jar, then layer the cream cheese mixture and some fresh summer berries on top. Keep in the cooler with your drinks until you’re ready to enjoy! If you want something rich to round out the meal, a square of this delicious almond butter fudge will do the trick. This simple recipe uses only three ingredients: almond butter, coconut oil, and maple syrup! Upgrade your standard bottle of wine: turn it into sangria! The day before your picnic, combine equal parts white and red wine, squeeze in juices from fresh lemons, limes, and oranges, then add in chunks of as many kinds of fruit as you want: citrus slices, mango, apple, watermelon, blueberries, etc. For a non-alcoholic option, add 4-8 slices of cucumber, lemon, and lime to a pitcher of water. Let the flavors infuse in the fridge for 2-4 hours to create a thirst-quenching summer drink. Cheers!